Growing up in a church parsonage, the eldest son of a fundamentalist Christian minister, grounded me securely in faith and family. My dad’s sermons, which were based in Old Testament scriptures as often as they were in the New Testament, offered up pretty big doses of Judeo-Christian doctrines that still guide me today as Chair of the Democratic Faith Working Group (DFWG) in the United States House of Representatives. The Old Testament lesson found in Micah 6:8 calls upon the reader to do justice, be merciful and walk humbly. In Matthew 25:45 the reader is instructed that we are judged by the way we treat, “the least (among us).” These are the principles that guide the members of the DFWG. We are composed of significant strains of the great diversity of faiths across our nation and in our Caucus. Our values reflect these faiths, and our faith perspectives are the lenses through which we see the great challenges of our times. The members of the DFWG are actively opposing Republican efforts to “repeal and replace” the Affordable Care Act. Repealing the Affordable Care Act would have devastating effects on “the least of these.” It would violate the golden rule of “do(ing) unto others as you would have them do unto you.” The Republican bill—that was passed by the House on Thursday, May 4—would exacerbate the widening income gap in our society by lavishing massive tax breaks on the wealthiest few at the expense of working people. There is not justice, mercy or humbleness in such action. In my home district alone, more than 270,000 South Carolinians under Medicare age have pre-existing conditions. Repealing the Affordable Care Act would subject this population to higher costs and loss of care. According to a recent Joint Economic Committee Report, the Republican Plan will cause 104,954 South Carolinians to lose private coverage in 2018, with their premiums increasing by $727 to $970. Additionally, we would see increased costs of over $94 million in uncompensated care to hospitals in South Carolina. The plan also includes a big transfer of wealth from low to middle income Americans to the wealthiest of Americans. It provides $274.9 billion in tax cuts for the highest income Americans, with over half of the tax cuts going to millionaires. In 2020, 61 percent of the cuts go to those earning more than $1 million a year. To pay for this, Republicans cut Medicaid by more than $880 billion. To add insult to injury, health care CEOs are big winners in this legislation; it cuts taxes by $400 million for insurance company executives. I have long maintained that the Affordable Care Act is the Civil Rights Act of the 21st Century, basically because it outlaws discrimination against sick people, most especially those with pre-existing conditions. Repealing the ACA and putting discrimination back into the health care system is a step history will not forgive. Public policies that do not square with the admonition of Micah 6:8 or the lesson of Matthew 25:45 are offensive to our moral responsibility to do the most good for the most people. The members of the DFWG will continue to use our shared values found in the fundamentals of our faiths to inform and guide us in our efforts to keep the public informed as we address the most pressing issues confronting our nation. 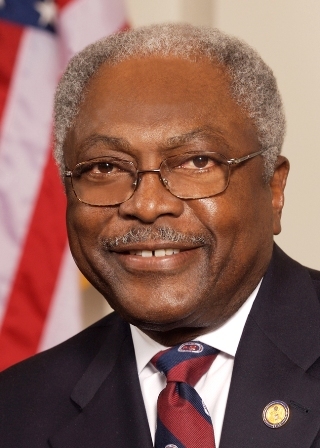 U.S. House Assistant Demo­cratic Leader James E. Clyburn represents South Carolina’s 6th congressional District. In Con­gress, he serves as the Chair of the Democratic Faith Working Group. Follow him on Twitter at @Clyburn.